Dining out is an infrequent luxury for most of us since the economy slowed down. The budget just won’t allow for the frequent visits to our favorites eateries that we once enjoyed. However, there are many ways to stretch our monthly restaurant budget so we can dine out more often. Use these tips for saving money when dining out so you can relax and let someone else do the cooking for you. Most chain restaurants, as well as local eateries, place money-saving coupons in the local newspaper or other print publications to attract new customers. Those coupons can garner you two meals for the price of one, or a free dessert, beverage or other free food item and stretch your dining-out budget. If your favorite restaurant doesn’t offer coupons, the establishment probably does offer in-house specials. The daily special, chef’s special, two-4-one special or early bird special can typically be enjoyed for about half the price of a regularly priced menu offering. 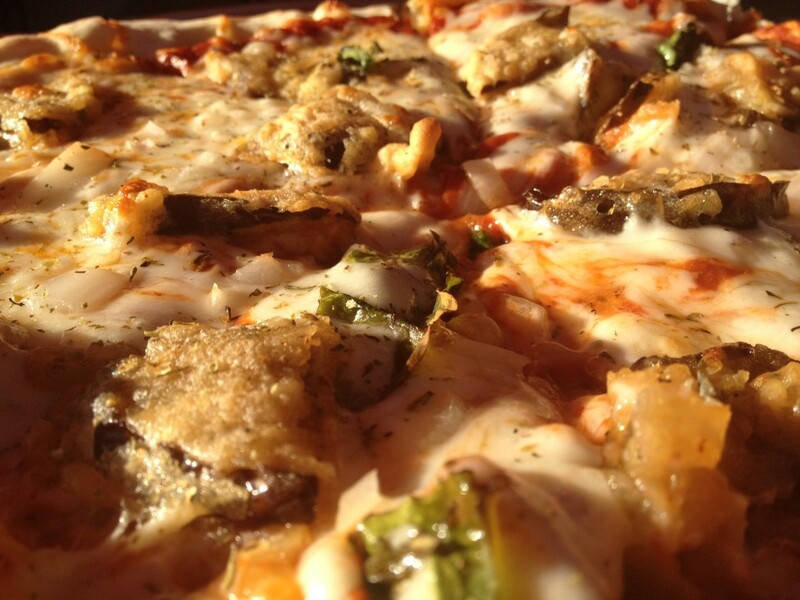 Ask the server what the special of the day is before ordering, or call ahead and ask. 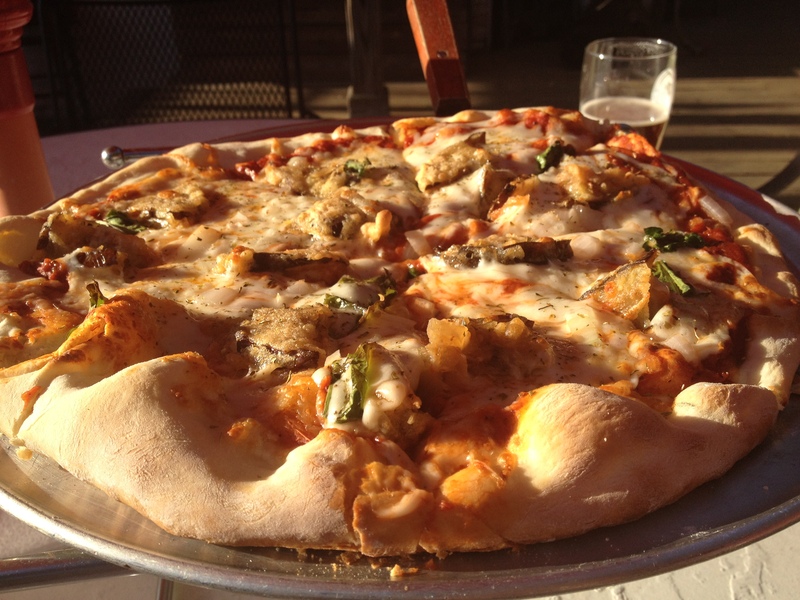 It just might tempt your taste buds while leaving money in your wallet. Many local and chain restaurants have their own websites that may be hiding an unadvertised money-saving special. Check online to see if your eating destination has a website and you just might score a printable coupon or code that will save you some money. Do a little restaurant website research and you just may discover certain nights when kids can eat free or a person having a birthday can eat free on their respective birthday. Don’t be discouraged if your favorite bistro or deli does not have a website with money saving offers, there are other online websites that may be able to offer you discounts. People often receive gift cards to places they can’t go or don’t want to go and offer them for sale at discounted prices on certain online venues. Check online for websites that buy, sell and trade unwanted gift cards to help you save money when dining out. In this era of ‘super-sized’ everything, many entrées consist of enough food for two people or two meals, especially if an appetizer has been enjoyed before the entrée arrived. 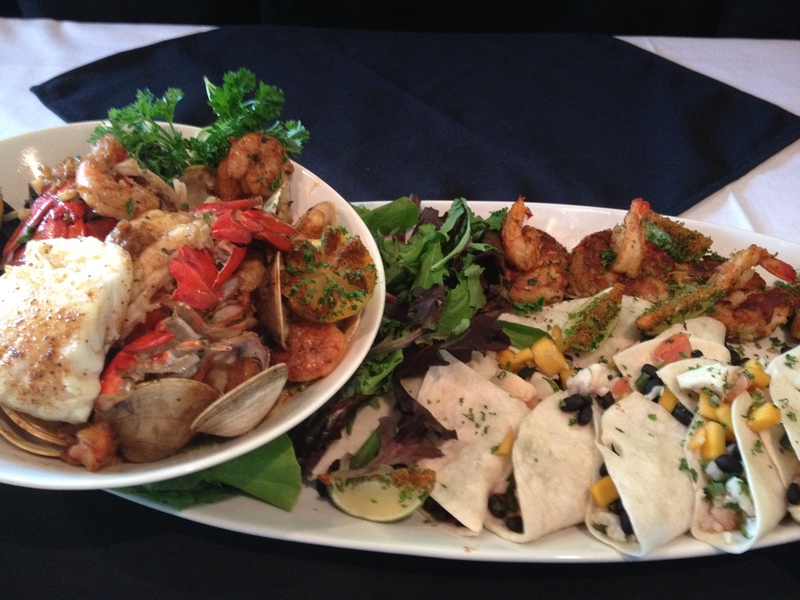 Order one entrée and two plates so two can eat for the price of one. Most restaurants are willing to accept this practice if two drinks are ordered for the one meal. Ask in advance if you’re unsure. One entrée can also be split into two meals so you can eat twice and pay once. When you place your order, ask your server to bring a to-go box, then when your entrée arrives immediately divide it into two portions and place one in the to-go box to take home. The out-of-sight food will help you be kind to your waistline by enabling you to eat less today and be kind to your wallet and watch tomorrow by allowing you to have an already prepared and paid-for meal waiting on you. Jessica Morales writes about all things related to finance. Her recent work is about the Top 10 Most Affordable Online Colleges. 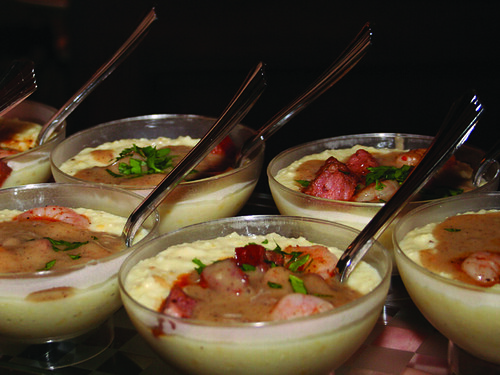 EXPERIENCE THE CULINARY CULTURE OF THE SOUTH! 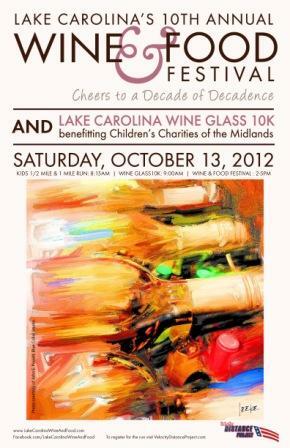 Tickets are now on sale for Lake Carolina’s 10th Annual Wine & Food Festival on Saturday, October 13 from 2pm – 5pm. The festival kicks off at 8:00am with the Wine Glass 10K sponsored by Velocity Distance Project and continues with wine & food tastings in the afternoon. Lake Carolina’s 10th Annual Wine & Food Festival pairs Columbia’s best culinary chefs with the area’s finest wineries for a mouthwatering afternoon on the Village Green. Festivities include live entertainment, chef demonstrations a Silent Auction and more. Savor the flavors on Saturday, October 13, 2012 from 2-5pm. Proceeds from the 2012 Wine & Food Festival benefit Children’s Charities of the Midlands, a non-profit corporation formed specifically to raise funds and contributions primarily for the betterment and improvement of the health, welfare and education of children and youth in the South Carolina community. Visit the website for tickets and information. THE DETAILS: $30 per ticket, must be 21yrs. of age or older. 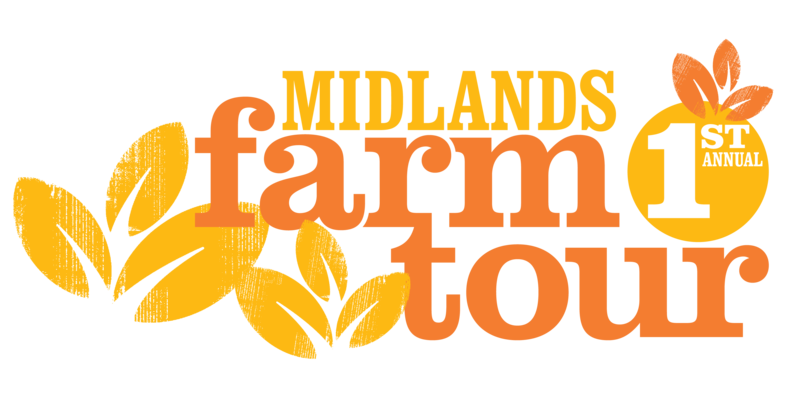 Includes parking, event entrance, wine tastings and food samplings. $15 per child 12 years and under. THE HOW: Buy Tickets at www.LakeCarolinaWineandFood.com or at the Lake Carolina Sales Center. To register for the Wine Glass 10K, click here. I knew it was going to be a busy Friday. The day was going to be filled with meetings, article deadlines and The Dark Knight Rises. It may be a busy day, but I knew it was going to be fun. I was taking the Groupie Wife and little Roadies across the dam into Lexington to visit Jamestown Coffee. One of the great things about being a foodie is getting to eat for free. 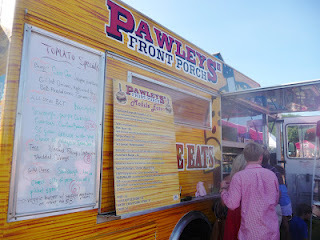 James, owner of Jamestown Coffee, invited me out to try his homemade pimento cheese bagel. How could I say no? 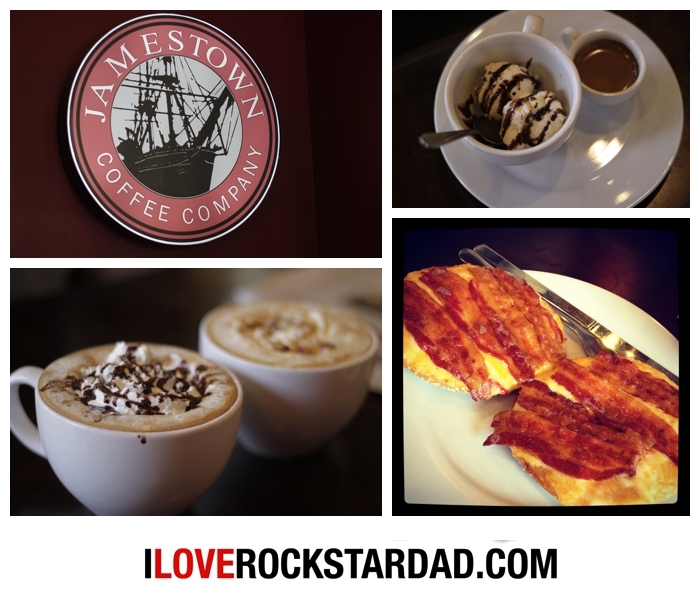 If you’ve never been to Jamestown Coffee Company, and you want to go, you will be in for a treat. 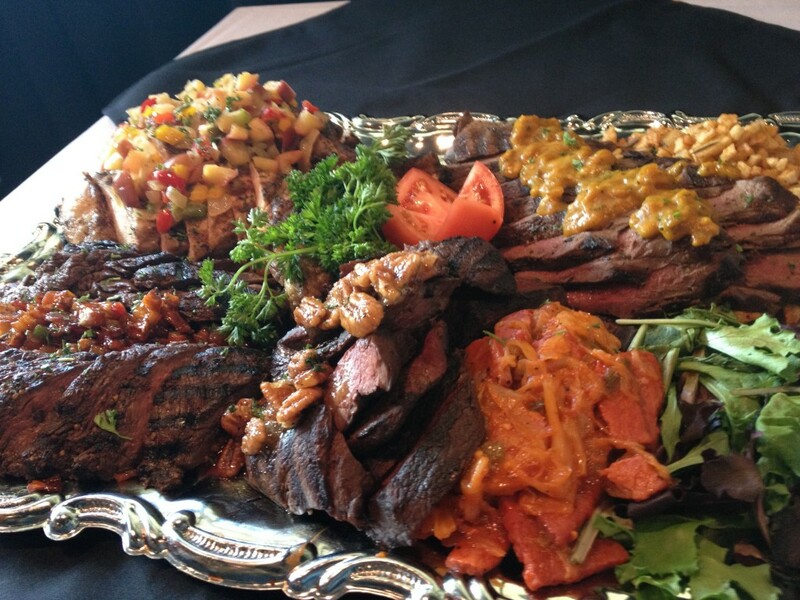 The atmosphere brims with gourmet quality, complimented with southern charm. The roadies made themselves at home, receiving the highest compliment that a parent can receive… having a stranger tell you on how well behaved your kids are. (Hello, Vicodin.) They enjoyed their cake pops while the Groupie Wife and I enjoyed some coffee. While I sipped on my latte (topped with whipped cream, caramel and pecans…to give it a crunch), James was busy making the pimento cheese. You heard that right. This is homemade. Fo real, yo. It was so worth the wait. The sharp pimento cheese mixed with the crisp saltiness of the bacon on a bagel is pure…I would say orgasmic, but this is a family blog. (You get the idea.) This did not come off a truck, prepackaged and frozen. (The next time you go into your favorite coffee shop, take a look around and see if there’s a kitchen. If you don’t see one…where do you think their food comes from?). As we have moved to Charlotte, we will not be able to enjoy the Columbia, SC culinary scene on a regular basis. However, we still wish to keep our site active and will be sharing restaurant reviews written by a few of Columbia’s experienced food bloggers, as well as an occasional restaurant exposé of our own. Hell, maybe you are completely new to this and just want a piece of your own work published in a public forum. Send it to us! We hope you enjoy a new perspective on restaurants in Columbia, SC! If you are interested in contributing, contact us! 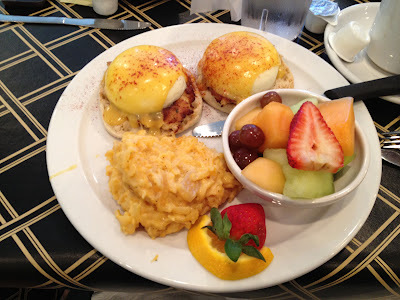 Although we have already visited Momo’s Bistro, a few changes to the culinary team and restaurant attracted us back to 2930 Devine Street for another taste. This revisit was sparked by a serendipitous meeting outside of the local health foods store, where Carlos Brown and Carlos Cuevas (Celebrity Chef and General Manager, respectively) were raving about the new changes that were happening to Momo’s. I lent them a half-interested ear until I heard the words “Kangaroo” and “Ostrich.” Ok. Thats something you don’t have a chance to dine on every day. 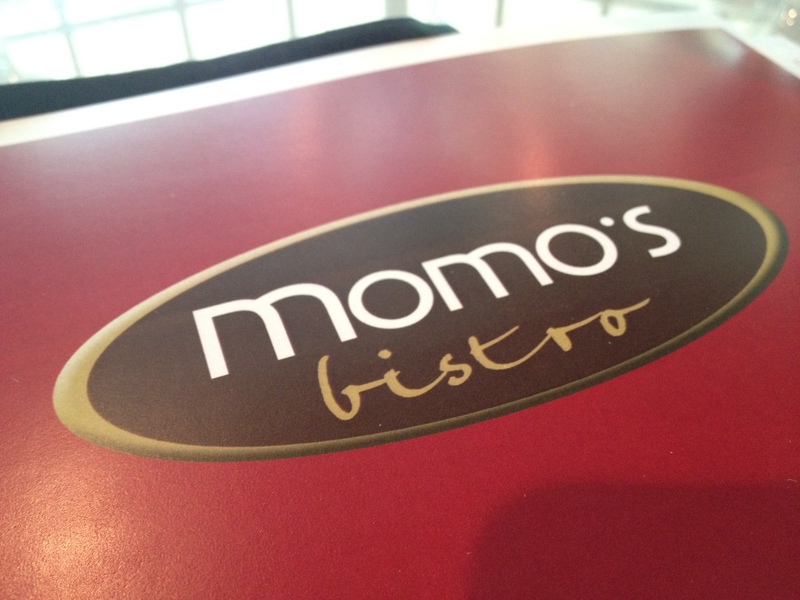 So with curiosity piqued, Capital City Eatz decided to head back to Momo’s Bistro to see what the fuss was all about. What an outrageously appetizing spread. No, this isn’t available on the menu. 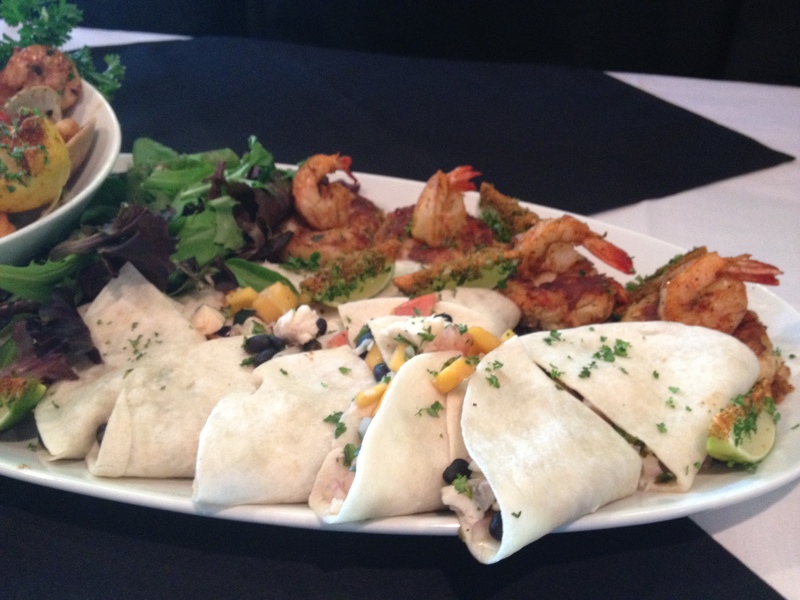 Just a sampling of each of the new dishes all arranged on one platter. My favorite part about this picture? The meat to vegetable ratio. 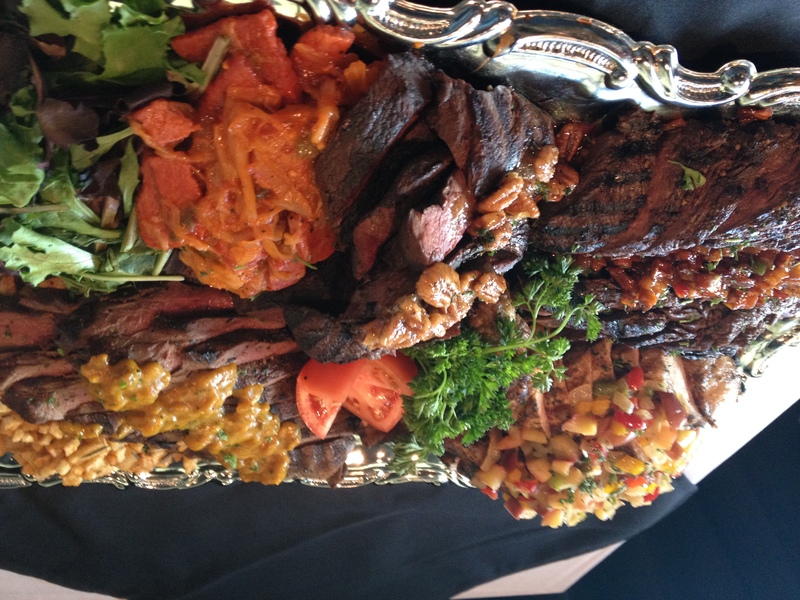 (Upper left to upper right) Slices of tender pork topped with the sweetness of a sauteed apple and potato hash, “Chili Rosemary Kangaroo”, pan seared ostrich topped with buttered pecans, and venison topped with a mustard glaze. The “Baja Fish Tacos” and “Seafood Cakes” topped with fried shrimp. Both were delicious, but the tacos are only available on the lunch menu, and the cakes…the dinner menu. Now to delve further into description….The “Baja Fish Tacos”: Ceviche marinated fish, scallop, with mango salsa, black beans, and wrapped up in a soft flour tortilla. The “Seafood Cakes” are a combination of lobster, crab, and shrimp, with Cajun Remoulade Sauce, and Manchego Smash. Here we have the “Seafood Belmar.” The most expensive item on the menu, but stuffed with enough succulent seafood for two. Fight over the lobster tail, or go straight for the filet of choice fish. 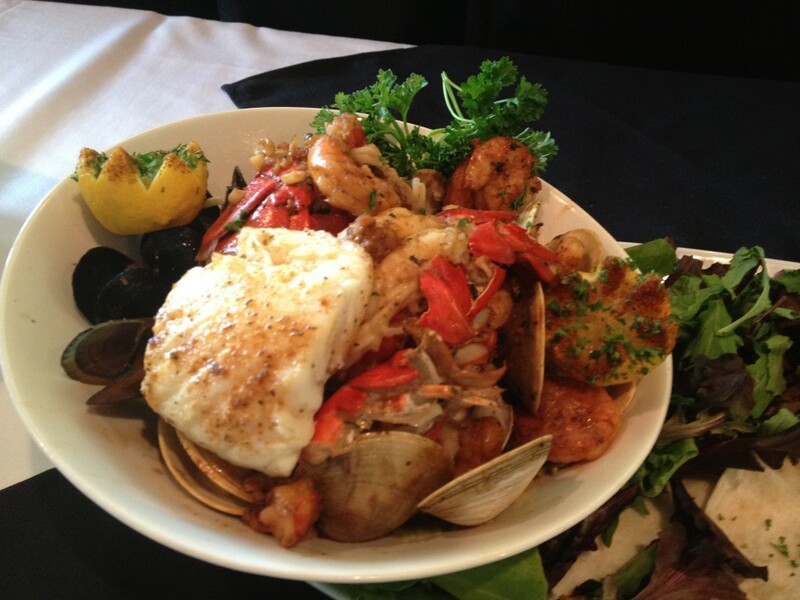 There are clams, scallops, shrimp, and mussels aplenty. Get down to Momo’s Bistro to give a warm South Carolina welcome to a home-grown celebrity chef, a chef who has cooked for the likes of Arnold Palmer, Lil’ Wayne, Donald Trump, and Jim Carey. When you taste his food, you will understand why.